Scene from Thanhouser comedy silent film. Etienne Girardot? 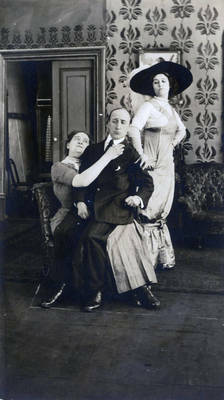 in chair with two unidentified actresses. BW photographs; 5.5" x 3.25"